Integration theory holds a prime position, whether in pure mathematics or in various fields of applied mathematics. 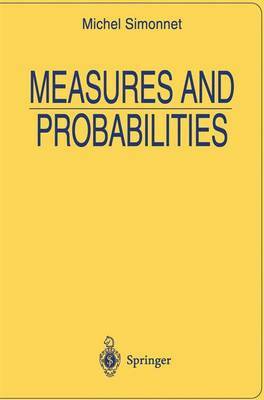 It plays a central role in analysis; it is the basis of probability theory and provides an indispensable tool in mathe- matical physics, in particular in quantum mechanics and statistical mechanics. Therefore, many textbooks devoted to integration theory are already avail- able. The present book by Michel Simonnet differs from the previous texts in many respects, and, for that reason, it is to be particularly recommended. When dealing with integration theory, some authors choose, as a starting point, the notion of a measure on a family of subsets of a set; this approach is especially well suited to applications in probability theory. Other authors prefer to start with the notion of Radon measure (a continuous linear func- tional on the space of continuous functions with compact support on a locally compact space) because it plays an important role in analysis and prepares for the study of distribution theory. Starting off with the notion of Daniell measure, Mr. Simonnet provides a unified treatment of these two approaches.